Starbucks recently announced a partnership with Oprah Winfrey to bring an O-inspired beverage to stores. Teavana Oprah Chai Tea debuts April 29 in the U.S. and Canada, but Starbucks might want to consider expanding its menu to include other celebrity-inspired drinks. 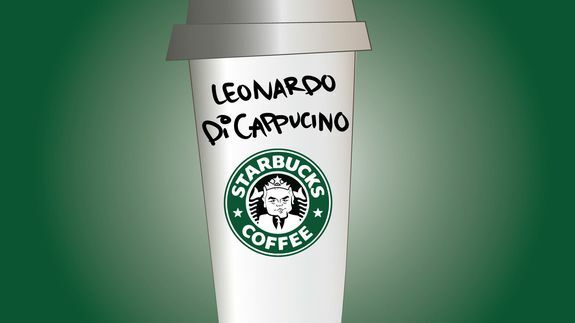 Pro tip: Add half and half to your Leonardo DiCappuccino to take off the bitter edge. Tagged with Art, black, celebrity, colbert, danielle-hernandez, drinks, green, watercooler, winfrey.